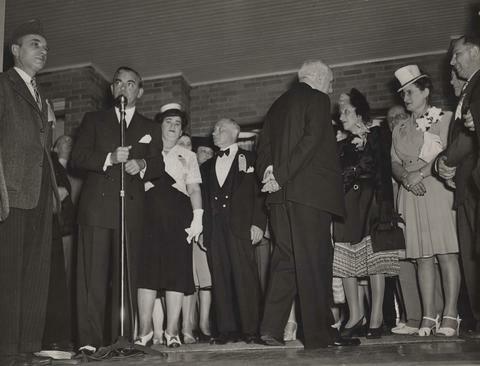 Photograph depicts a group of people attending the opening of the Jewish Old Folks Home. Written on the verso: "J. S. Finkleman. Jewish Old Folks Home opening (13th Ave). 54083-3."